I have memories of playing in the backyard on summer days with creamsicle in hand. I would race against time, trying to find a balance between eating my creamsicle quickly (so that it didn't turn into a puddle in my hand) and avoid getting a brain freeze. Although I may have outgrown the backyard, I still have a soft spot for those creamy ice pops. Here are five fun creamsicle recipes that let you relive those wonderful childhood memories. This creamsicle is gluten-free, dairy-free, vegan, corn-free, sugar-free, and yeast-free. Needless to say, this is one healthy pop. This classic flavor duo is delicious in this frozen treat. 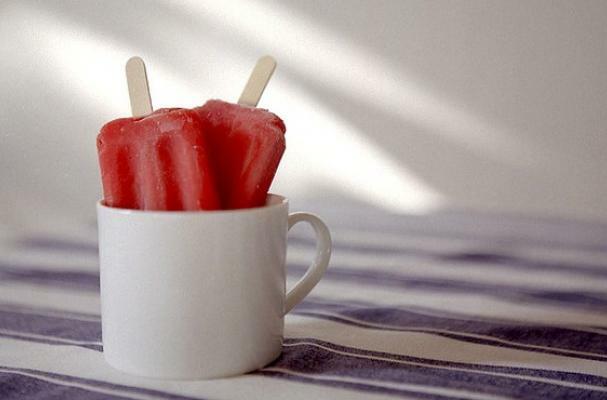 Blood orange juice is sweeter and gives these creamsicles a pink hue. The pureed avocado makes these creamsicles as smooth as butter. This recipe has a unique twist on creamsicles by using purple potatoes as the base.